Grammy-Award winner and multi-platinum R&B artist, Ne-Yo, recently visited Secrets Wild Orchid Montego Bay. He flew in from his current hometown of Atlanta, GA, to perform at a concert in Negril for Appleton Temptation Isles (ATI). While Ne-Yo was only in town for a limited time, he made the most of his short stay with us. He enjoyed the luxurious accommodations of our Presidential Suite, and took advantage of ordering room service the morning of his departure (scrambled eggs, fresh orange juice and authentic Jamaican Blue Mountain coffee…yummy!) Ne-Yo took a moment to pose for a quick picture at the resort before heading home. 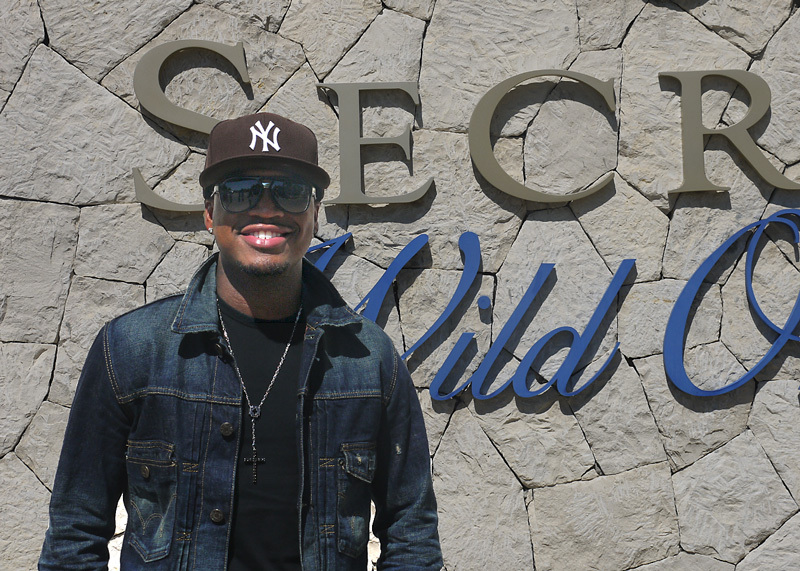 Ne-Yo’s visit comes on the heels of another recent celebrity sighting at Secrets Wild Orchid. Just last week, Nicki Minaj, breakout rap and R&B artist, was spotted at our resort while in town to perform for the 2011 Reggae Sumfest. She also enjoyed our Presidential Suite and was captured in a few photos during her stay that were published on GossipCenter.com. This entry was posted in Secrets St. James, Secrets Wild Orchid and tagged Appleton Temptation Isle, celebright guest, celebright sighting, celebright spotting, celebrity, Montego Bay, Ne-Yo, nicki minaj, Presidential Suite, Reggae Sumfest. Bookmark the permalink.